On Sunday I headed back to Moab and met up with Marty again. 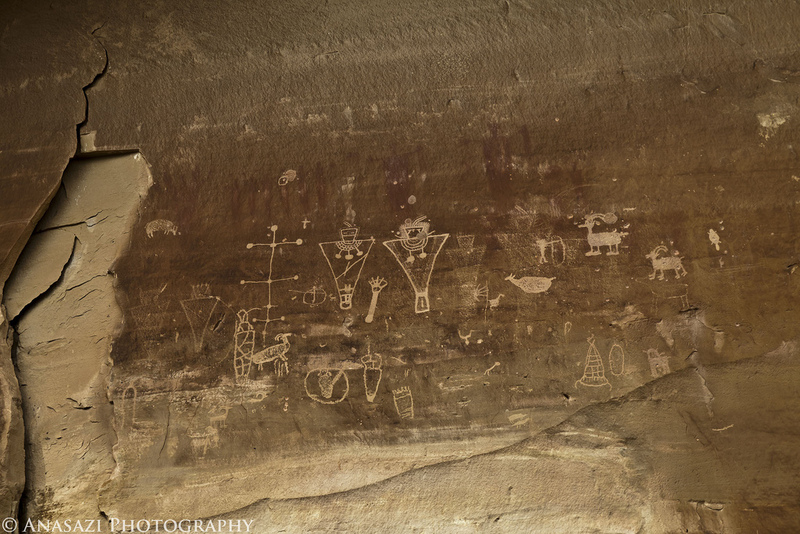 This time we spent a few hours hiking around Mill Creek Canyon and searching for more rock art. 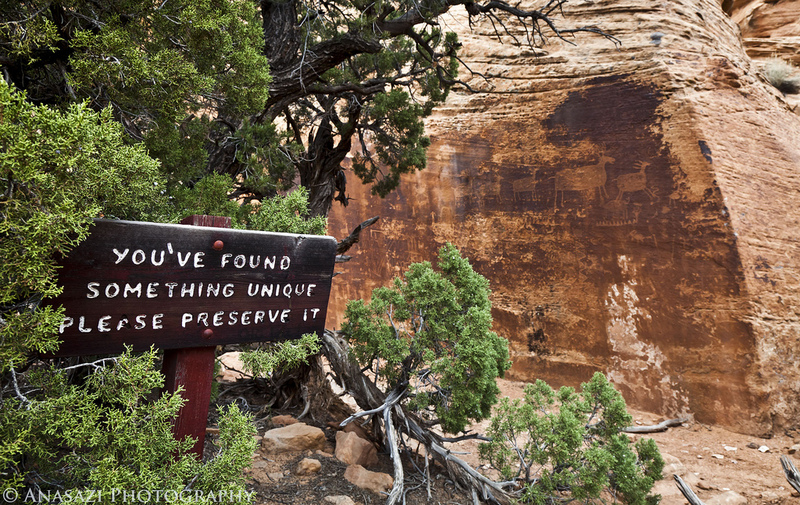 Marty showed me the petroglyphs he had found previously, but we also managed to find a number of new ones, too. Saturday, the plan was to head to Arches for the day and hike the Devils Garden primitive loop. Afterwords we were hoping to stock around and get some photos of the Super Moon rising in the evening. Unfortunately, the sky was cloudy and overcast the entire day and it was pretty windy. 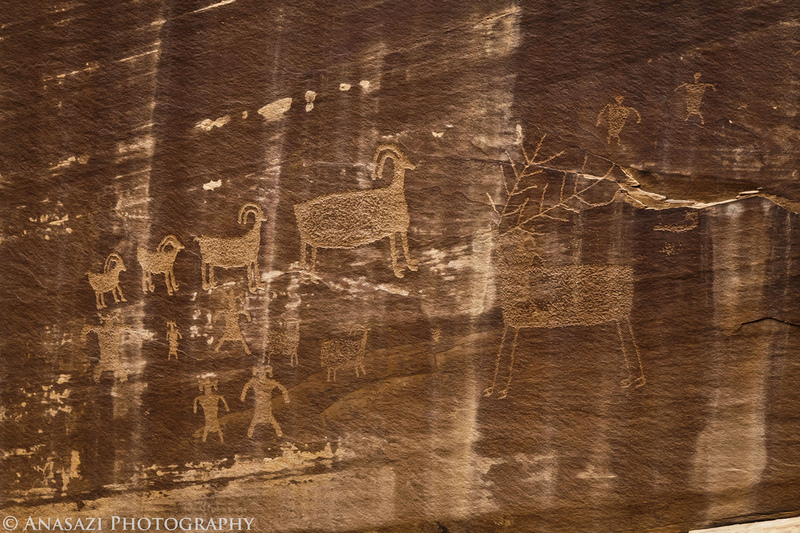 We ended up hiking the loop and finding the petroglyphs near Dark Angel, but when we were done we drove back into town for some dinner and headed home instead of waiting for the moon to rise. It was a good choice since the moon never did make an appearance. 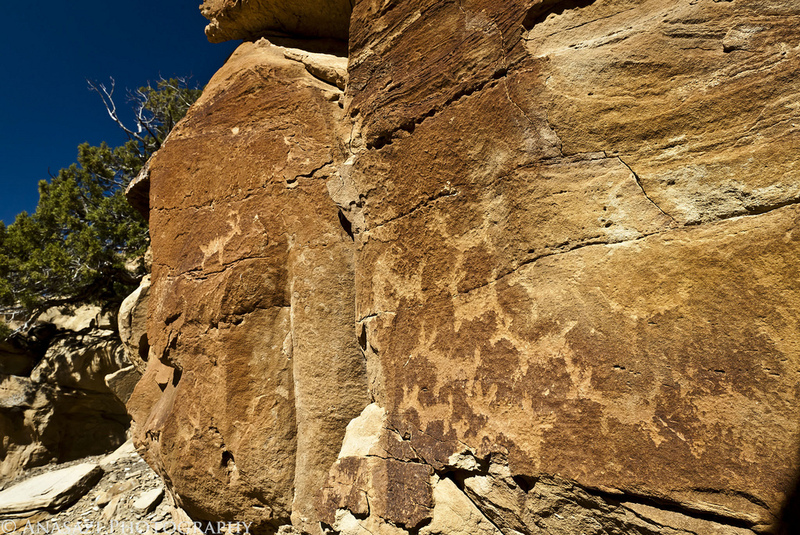 On Sunday I had some stuff I wanted to get done around the house, so I decided to stay close to home and take a short hike to some petroglyphs I haven’t been to before on Palisade Point. The panoramic photo above was taken over the Grand Valley from Palisade Point near the petroglyphs. 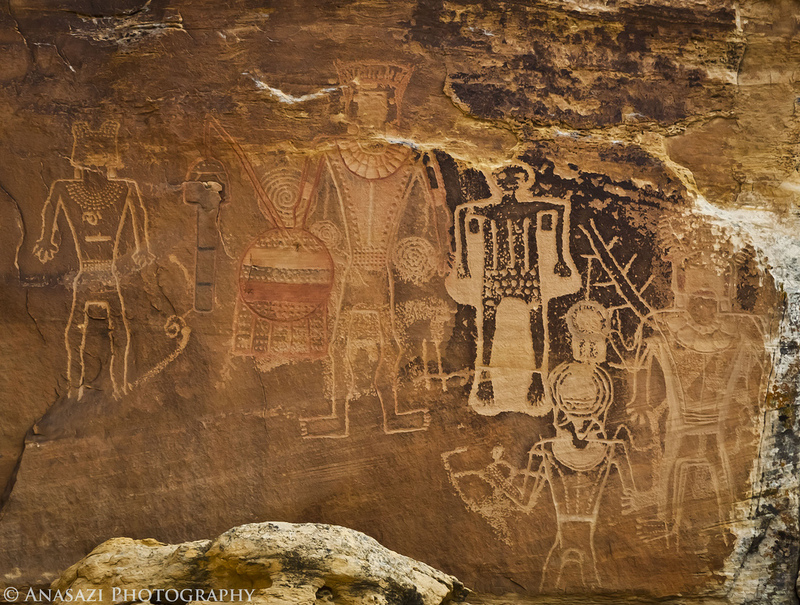 Here’s a few photos of the petroglyphs I found. Most of them were of bighorn sheep and elk.